Are you a fan of Jonathan Edwards? 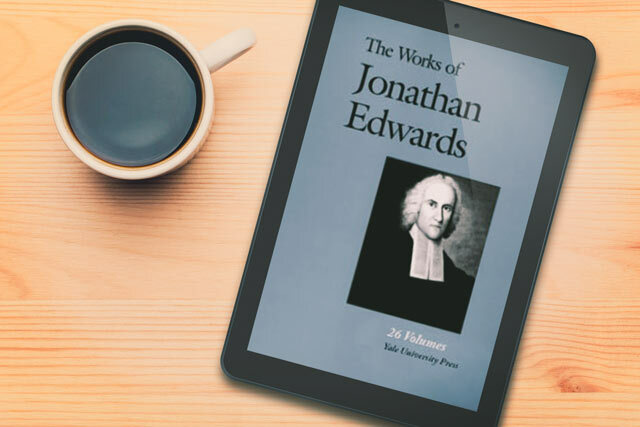 The Works of Jonathan Edwards (26 Vols) is filled with nothing but his writing—and you’re going to love it. Let’s learn a bit more about this fantastic collection. Then, we can take a look inside. “Jonathan Edwards (1703-58), noted theologian and religious leader of 18th-century New England, left his impression on theological thinking not only in this country but throughout the entire Protestant world. Not since 1874, however, has a collected edition of his works been printed. Previously, the attempts to publish Edwards works in print proved daunting. “While the previously released letterpress edition of Yale’s Works of Jonathan Edwards is a significant achievement, it includes less than half of what Edwards wrote,” said Dr. Kenneth Minkema, Executive Editor and Director at the Jonathan Edwards Center and Online Archive at Yale University. But now, with the ability to digitize old writings like Edward’s, we can make his entire works available with just a few taps. Here are the works included in our 26-volume collection. A massive collection of content equal to over 16,000 pages in printed text. Over 1,000 sermons, manuscripts & discourses enhanced for the Olive Tree Bible App. 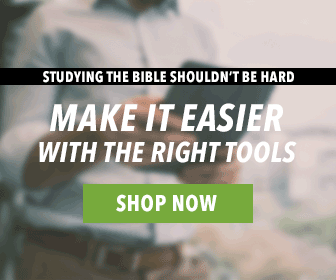 Notes on Scripture – the first complete edition of the private biblical notebook that Jonathan Edwards compiled over a period of nearly thirty-five years. The “Blank Bible” – a manuscript more than five thousand notes and entries relating to biblical texts. Multiple volumes of previously unpublished works. First, let me repeat that there are TWENTY-SIX volumes in this set. You can easily access all of them from your library and read Edward’s to your heart’s content. Next, I’ll show you how the applicable volumes can show up in the Resource Guide. If you have volumes of sermons or commentary from Edwards, them we’ve set them up to show up in this space. We will let you know if anything Edward’s wrote is applicable to what you’re reading in the Bible. One of our favorite volumes in this collection is “The Blank Bible.” In this volume, you can read Jonathan Edward’s thoughts on passages throughout the Bible. If you love the Works of Jonathan Edwards, then reading them inside the Olive Tree Bible App will be your favorite experience. Add a volume or the whole set to your library today. Visit our website to learn more.